Breathe fresh life into your kitchen and dining room with the Artesano Nature Collection by Villeroy & Boch. Inspired by the farm-to-table philosophy, the collection features premium porcelain dinnerware that has been hand-painted with artisan brushstrokes. Clean, wide-edge plates and bowls elegantly showcase brightly colored dishes for family meals, casual dinners, and brunch. The collection’s soft blue, green, and biege colors integrate diners with nature's bounty and endless beauty. For an even more authentic setting, scatter fresh herbs and flowers for an unforgettable, modern presentation. Complement with dinnerware pieces from Villeroy & Boch's other Artesano collections. Breathe fresh life into casual meals and modern settings with the hand-painted Villeroy & Boch Artesano Nature Collection, inspired by the farm-to-table philosophy. 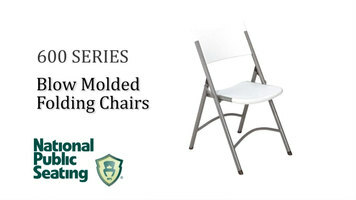 The NPS 600 series folding chair features a blow molded plastic seat and back on a gray steel frame, ensuring long-lasting use both indoors and outdoors! 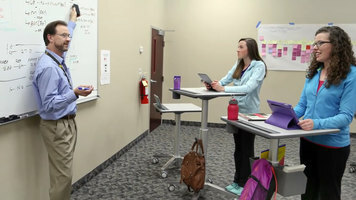 It exceeds ANSI/BIFMA standards and is eligible for LEED points. 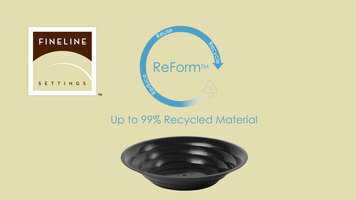 Made from as much as 99% recycled materials, Fineline's ReForm series of foodservice items is an eco-friendly choice for restaurants and take-out operations. It's great for use with a variety of hot or cold food applications and can be repurposed by consumers before being recycled again!